For years Joe Blair has been mentoring and motivating most of the teachers around today. An original waterman with 45 years experience, Joe now wants to share his techniques to make surfing quicker and easier. All shapes and sizes of boards can be used during the lesson, depending on your interest and experience. Complete beginners will be surfing almost instantly, as Joe uses Stand Up Paddleboards for better stability and longer rides. 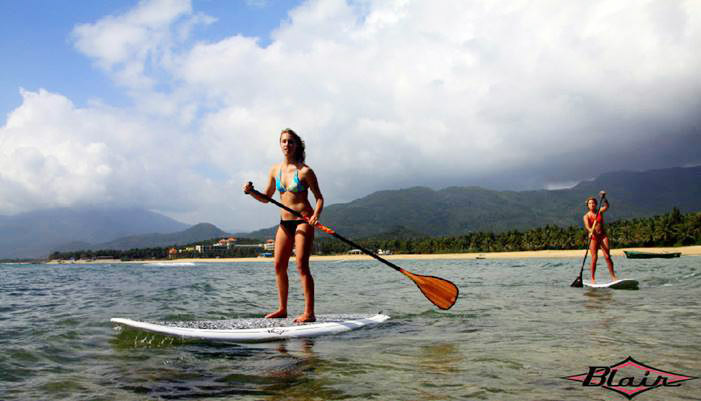 Joe can work with any size rider and experience level to improve your Paddleboarding. Blair's specialty wide equipment is excellent for the Big Guy riders our Stand Up Paddleboards are much wider than the industry standard.